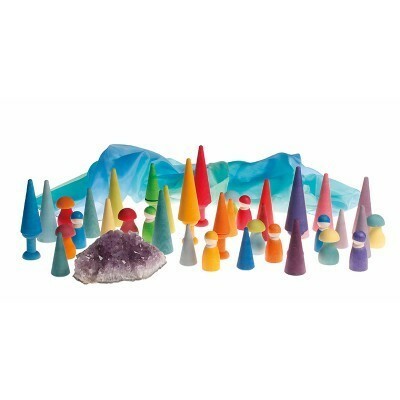 Present a forest for each season with these tree tops. 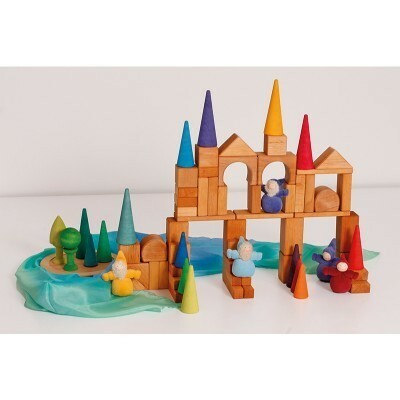 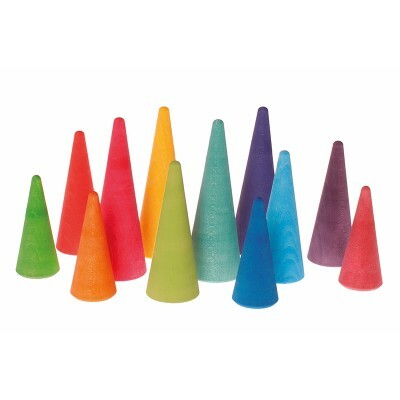 These cones can also be used as roofs and spires in combination with our building blocks. 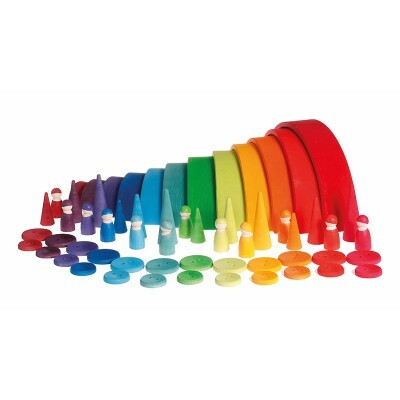 Same colouring as large rainbow 10670, perfect for sorting colours. 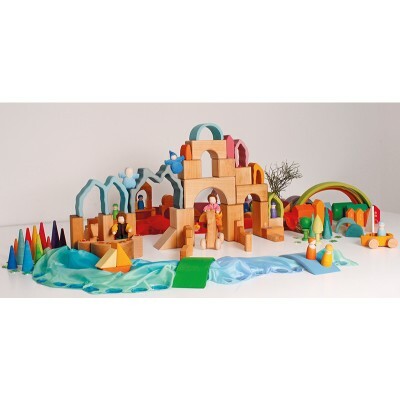 Perfect in combination with our Geo Blocks 10100 and the Dwarfs 22000/22001. 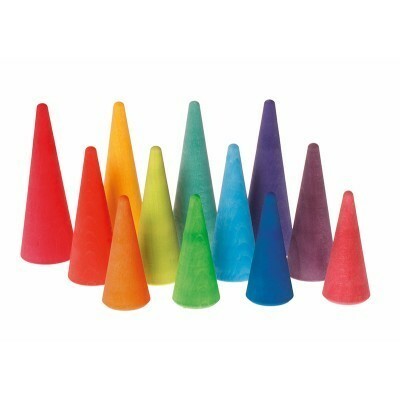 Quanitdade: 12 pieces in rainbow colors.